This partnership’s main goal since 2015 has been to release churches among the Worodougou people, and to continue to advance toward the north of the country until we are prepared to move into the northern neighboring countries. In 2017 the need became apparent to build a church network in Cote d’Ivoire’s largest urban environments to serve as a foundation for the northward expansion. The intent is that this church network would be established in the next two years, by 2020, and will eventually be released as an official self-governing, self-sustaining, and self-multiplying Ivorian Association of Vineyard Churches as part of the global Vineyard movement. The Cote d’Ivoire partnership is relatively young and currently only has four churches involved. A research team was sent to Cote d’Ivoire in April, 2015, by the Maryville Vineyard Church in Tennessee. Follow-up trips were taken in September, 2015, and twice a year thereafter and have included members from the Gilbert, AZ Vineyard, the Champaign-Urbana Vineyard, and the Cobb (GA) Vineyard. The most concentrated focus is among the Worodougou people in the north of Cote d’Ivoire and in 2018 will expand to both the largest city of Abidjan as well as to the Touba people in northwest Cote d’Ivoire. Abidjan is the largest city and economic capital of Cote d’Ivoire with a large port and an international airport served by many direct flights from Europe. 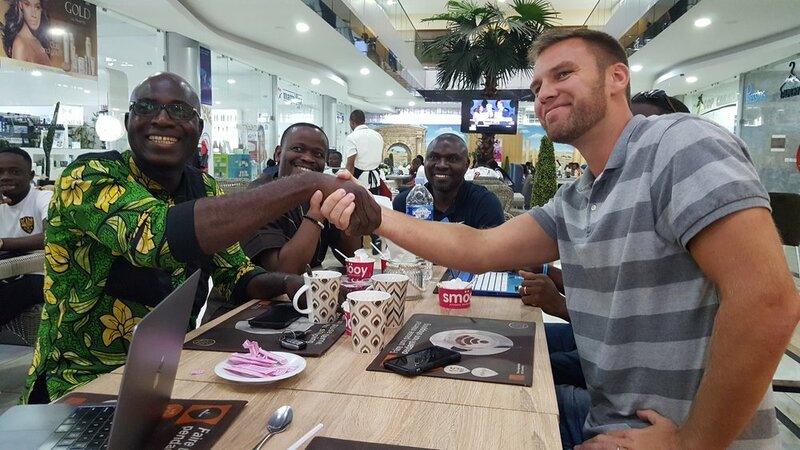 As a city with a thriving economy, it also draws many immigrants from other African countries making it an ideal location for a church network that supports the expansion of ministry opportunities deeper into Cote d’Ivoire as well as directly, through these immigrants, into many nearby countries. There are about 224,000 Worodougous living in 213 villages and towns. Many are subsistence farmers in the small villages, raising rice, corn, yams, cashews and cotton. They are also involved in commercial enterprises or small businesses. Most of the Worodougous are nominal Muslim. It is their mask worship and spirit/ancestor worship which really hold their attention. People are afraid of sorcerers, death, hell, and their ancestors, and spend most of their money on "protection" of various sorts. Funerals are a huge expense, with different days of ceremonies, because of the ancestor veneration. In the larger towns and cities madrasa schools and teaching at the mosque provide the Islamic education. The Koran is memorized without comprehension except by higher level students. The older men and women, aware of death's closeness, become very religious. They are very regular at prayers. However, they do not have a steady attention to all the Islamic laws. The Worodougous are 94.20% Muslim; 0.80% Christian and 0.20% Evangelical. As the vast majority of Cote d’Ivoire is rural and most of its economy comes from agrarian enterprises (coffee, cocoa, and cashews) the above description of the Worodougou villages probably describes most Ivorian villages, though the religious demographics may differ. Overall, Ivorians are approximately 40% Muslim, 33% Christian (mostly Catholic) and the remaining percentage are Animist or claim no religion. 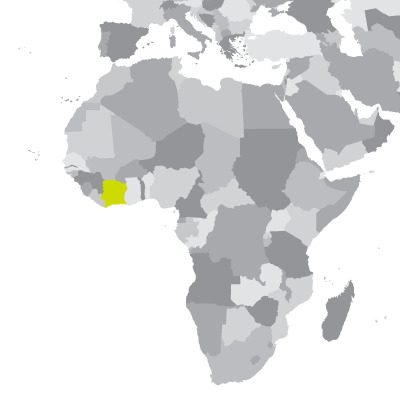 Ivory Coast or Côte D'Ivoire, officially the Republic of Côte d'Ivoire, is a country in West Africa. Ivory Coast's de jure capital is Yamoussoukro and the biggest city is the port city of Abidjan. Cote d'Ivoire is heavily dependent on agriculture and related activities, which engage roughly two-thirds of the population. Cote d'Ivoire is the world's largest producer and exporter of cocoa beans and a significant producer and exporter of coffee and palm oil. Consequently, the economy is highly sensitive to fluctuations in international prices for these products and in climatic conditions. Cocoa, oil, and coffee are the country's top export revenue earners, but the country is also mining gold. Josh and his family have been a part of the Maryville Vineyard Church in Tennessee for nine years, and spent three of those years on the mission field in Haiti. They are now based back in Tennessee, and Josh works on staff at the Maryville Vineyard to do all things missions and outreach. He and his wife Amanda are still very involved in Haiti, while now having a larger concentration in West Africa. Consider joining our partnership by clicking the link atop this page. Together we can impact Cote D'Ivoire for generations to come.